It may be a brand new event, yet Swiss great Roger Federer insists he’ll be playing at his absolute peak to give his side the best chance of capturing the inaugural Laver Cup. “I’m going to be fighting and sweating and maybe bleeding if I fall down,” Federer said in Prague on Monday. Federer was in the Czech capital alongside Tomas Berdych for the Laver Cup launch ahead of the main event on 22-24 September at Prague’s O2 Arena. Federer will headline Team Europe alongside Rafael Nadal and is expected to be joined by other high-ranked Europeans among the six-man squad to be captained by Swedish legend Bjorn Borg. Team Europe will take on The World, another six-player team guided by American legend John McEnroe. Federer said Prague, the hub of the tennis-loving Czech Republic, was the perfect host for the thrilling spectacle. “I think they are going to be loud, more loud than ever before maybe for a tennis match, because they can understand the importance of every point and what it matters to us players,” Federer said of the fans in Prague. “The good thing, we don’t need to educate them on tennis. They know what a break point is. They know what 15-Love means. That’s a good start. And then it’s a beautiful arena that has hosted many other important tennis matches. Federer’s excitement at gearing up for the Laver Cup is beginning to be matched by others on the ATP World Tour. With the profile of the event starting to grow and the countdown to September gaining momentum, Federer said his fellow pros were beginning to set their sights on scoring a spot in the six-men teams. “I think everyone … will fight for their ranking to then qualify for the Laver Cup,” Federer said. 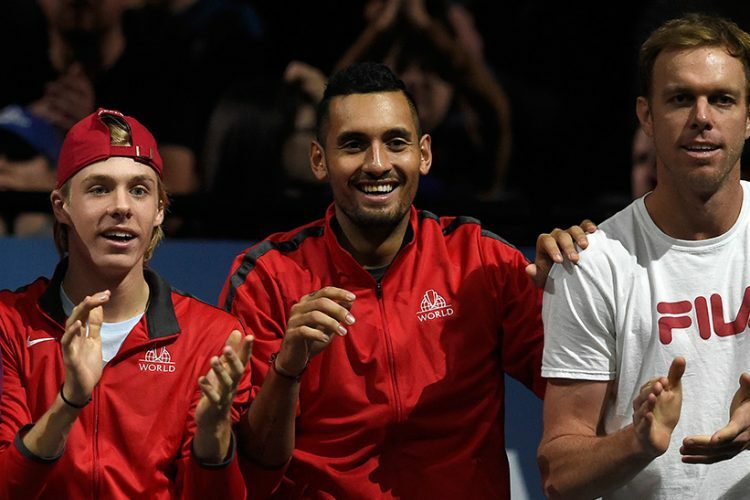 “I think Björn Borg for us on Team Europe it’s going to be very important to motivate and inspire us. “We don’t know exactly who’s going to be on the team with the rest of the world and Team Europe, because we have wait and see what the ranking is going to be like after Wimbledon and after the US Open.